The Urus looks awful, is basically the same car as the revolting Bentley EXP 9F and, seriously, do we really need yet another SUV masquerading as a supercar? All valid points, but the Urus has a saving grace. It’s a Lamborghini and all Lamborghinis are silly in a good way. 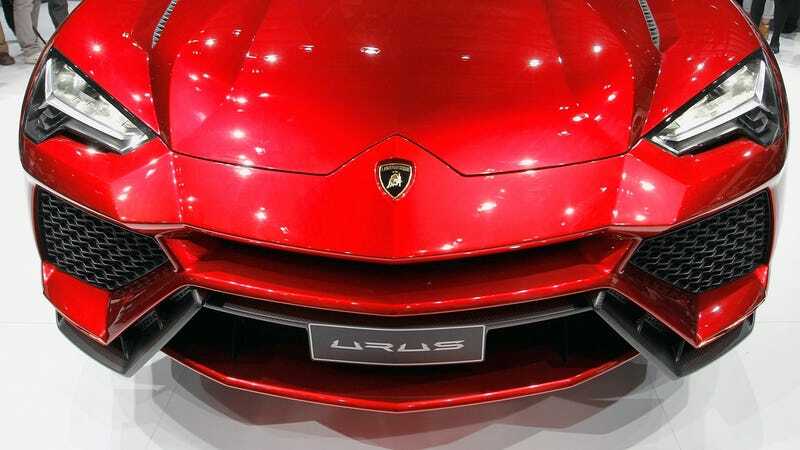 I’ve been thinking about this since the Urus was first shown in Beijing. About how Lamborghini, this boutique carmaker so dear to my heart, have finally succumbed to their Barbarian overlords for good. How they, with the majestic Miura and crafty Countach and the elegant Espada on their résume, have given in to the temptation of selling BMW X6’s to people with no sense of taste. But you know what? The Urus is a Lamborghini like all the rest. It’s hilarious and delightful and fun and silly. The Bentley EXP 9F, yes, that’s nothing but a chode. I had the misfortune, in March, to see it in the bloated flesh. I lol’d. It’s revolting and terrible and utterly tasteless and it’s even worse when you see it surrounded by middle-aged men in over-accessorized suits nodding serenely to PR people. So how is the Urus, an overdesigned X6 built on the same platform as the EXP 9F, any different? Simply, because it’s a Lamborghini. Every good Lamborghini is a silly exercise in something completely unnecessary. The last Lamborghini SUV, for instance, the LM002: it may have been designed for military use but in reality it’s a giant dune buggy with a Countach engine. Even the Miura, which was, after all, a mid-engined race car for the road, and there are few things more pointless than that. People understand that Lamborghinis are about a sense of humour, so they smile and wave and laugh, and let you out of junctions, while ignoring the sombre-suited man in his serious Aston Martin. Yeah, Uruses (Uri?) will be bought by rich people with zero taste. Yeah, they will look pretty ridiculous. But at least they won’t look like they’re trying to be serious. There’s always a special edition of the current 911 for that. And, seriously, would you like to smile and wave and laugh at the kind of person who drives a GT3 in town?